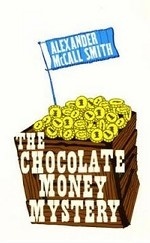 Аннотация к книге "The Chocolate Money Mystery"
Max and Maddy Twist`s parents were once famous, international detectives - before the evil Professor Sardine ruined their careers, that is. Now they run an ice-cream parlour, and it is the services of their crime-busting Cluedo-champion children that are called upon. Mr Huffendort, a rich Swiss banker is very worried about a series of raids upon banks, carried out by a team of highly-trained St Bernard dogs! Who can be the criminal mastermind behind this evil and cunning plot? It`s time for Max and Maddy to pack their hats, scarves and various disguises, and fly to Switzerland to find out.